This vibrant Mikado dress 3767 from Alyce Paris is sure to have all eyes on you at your homecoming dance. 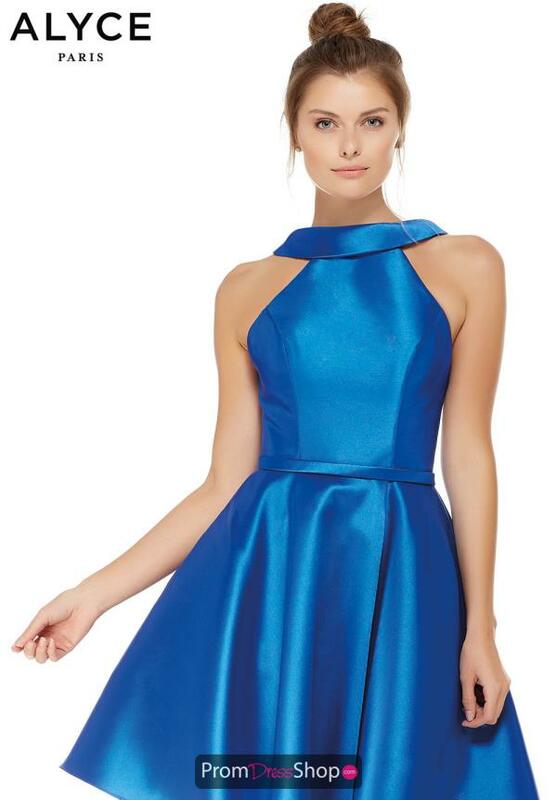 The bold blue dress has a high halter neckline and a unique open back. The fitted bodice has form flattering princess seams that end at the waistline, where the dress flares out into a short A-line skirt. Perfect for those who like to stand out, this beautiful sapphire dress is sure to steal the spotlight.